A new EP from Attaque, it has the awesome techno feel that he manages to demonstrate so well and “Envelopes” delivers a new feel that resembles Boys Noize‘s style, which is a great thing. Preview the three track EP coming out July 2nd below. While waiting, you can listen to this fresh mixtape made for Lektroluv by the man himself. In the last several months, Vakkuum has been working very hard with production, touring, and gigs. It is astounding to see him deliver such quality remixes and sublime mixes on a regular basis. Recently, his work has been charted twice by Brodinski and he’s been invited to play in Mexico City for “The Fussy Kidz” second anniversary. Vakkuum is most likely in the top DJs when it comes to track selection and mixing, so without further ado, here is his guest mix for the German radio “Mehr Nachtleben”. Tiga takes us through the art of the remix on BBC Radio 6 Music, discussing the different components pertaining to remix productions. Also, you are in for a treat because this mix includes several unreleased beauties such as “Herbert – You Saw It All (DJ Koze Remix)” and “ZZT – Zig Zig Zag (Art Majours Remix)”. Definitely worth mentioning, a double exclusive with Tiga’s take on yet unreleased “Dangers of the Mouth” by Footprintz, Turbo Recordings’ most recently acquired duo. Head on over to 6 Music, the mix will stream for seven days only. Duke Dumont’s EP, coming out on Turbo Recordings, is approaching its release date (May 21st). If you are eager to preview the tracks then you will be pleased to know that you can entertain your ears with the following mix. Specially brewed by the man himself, Duke Dumont showcases some of the up and coming sounds of today. 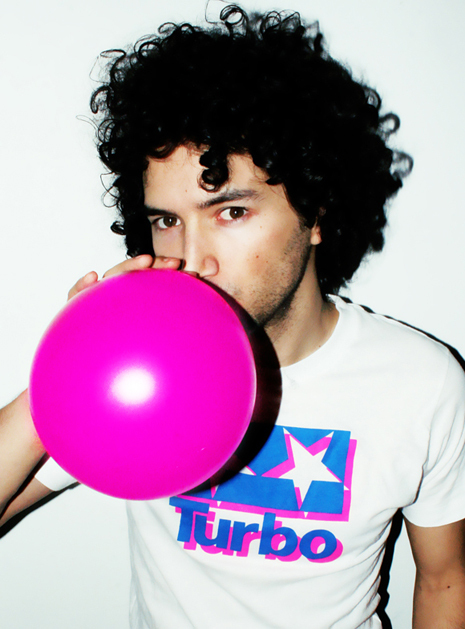 Dive into these upcoming Turbo tunes mixed by Thomas Von Party. Check out the article by Seb Wheeler on Mixmag! Just in case you missed it, you can stream Tiga’s latest 6 Mix on BBC 6 Music here. Exclusive previews of unreleased tracks such as “Justice – Canon (Tiga Remix)” and “ZZT – Work (Nautiluss Remix)”. Be quick, the stream only stays online for the next 7 days!